Chicagoans don't have to venture far for an authentic Italian experience. 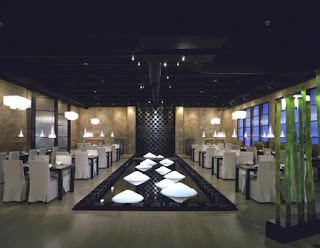 Instead, head to the city's Fulton River District and enjoy Trattoria Isabella (217 N. Jefferson St., 312-207-1900) offering fine Italian dining in a warm, contemporary setting. Trattoria Isabella, which opened in March 2008, features an extensive menu of generous portions catering to many tastes. Executive chef, Michael Serratore, returned to his Italian roots to create the restaurant's menu. After coming to the United States from Italy 25 years ago, Serratore honed his culinary skills in restaurants and hotels throughout the Chicago area before taking the helm at Trattoria Isabella. "In Italy, it's about bringing the pleasures of food to your table and making everyone feel like family," says Serratore. "I was able to be able utilize several family recipes that have been handed down through multiple generations at Trattoria Isabella. I am happy to serve our customers as if they were my own family." General manager Paolo Capobianco, a veteran of the restaurant industry, understands that serving the customer is the key to a successful restaurant. "At Trattoria Isabella, the way we treat our customers defines who we are," says Capobianco. "We provide our guests with high-quality, homemade ingredients in a welcoming setting to ensure their experience at Trattoria Isabella is superior." Trattoria Isabella's menu consists of a number of classic Italian appetizers, salads and entrées. Appetizer selections include Calamari Fritti , deep fried calamari served with a spicy tomato sauce ($9.95); Bruschetta Italiana, fresh tomatoes, basil and capers on toasted bread ($5); and Carpaccio di Manzo, thin sliced, marinated raw beef topped with artichoke, hearts of palm and shaved Parmesan, served with olive oil and lemon dressing ($9.95). Some of the salad options include Asparagus Salad, wrapped in prosciutto, topped with roasted red peppers, blue cheese and olives ($9.95); Caprese , traditional Italian salad with tomatoes, basil and mozzarella di bufala ($8.95); Spinach and Salmon, mixed greens, cherry tomatoes, artichoke, grilled shrimp and walnuts served with a balsamic dressing ($12.95). Trattoria Isabella offers a number of hearty pasta entrées including Penne Arrabiata, served with a fresh tomato sauce and fresh mozzarella ($12.95); Linguini Frutti di Mare, fresh calamari, clams, shrimp, scallops and mussels in a light red sauce ($23.95); Ravioli Quattro Formagi, the chef's house-made four-cheese ravioli in a pine nut and sage butter sauce ($14.95); and Farfalle al Pollo, bow-tie pasta served with chicken, peas and porcini mushrooms in a pink tomato sauce ($14.95). Other entrée selections include risotto, chicken, veal, fish and steak options like Risotto al Salmone, a classic risotto preparation with fresh salmon and an infusion of red sauce ($15.95); Involtini di Pollo, boneless chicken breast stuffed with goat cheese, fresh spinach and sun-dried tomato with a vodka sauce, served with roast potatoes and vegetables of the day ($16.95); Vitello Piccata, tender veal sautéed in olive oil with lemon and capers served with vegetables of the day ($19.95); Pesce alla Veneziana, sautéed white fish with garlic and capers in a white wine sauce ($16.95); and 16-ounce Filet Mignon served with vegetables of the day ($38.95). Trattoria Isabella also offers burgers and panini sandwiches like the Neopolitan Burger, a half-pound chef's specialty ground salmon burger ($9.95); Panino Modo Mio, the classic meatball sandwich on Italian bread ($7.95); Sausage and Pepper Sandwich ($7.95); and Panino Italiano, prosciutto and Genoa salami (or mortadella) ($7.95). Trattoria Isabella's new pizza oven, imported from Italy, is the key to the restaurant's delicious,authentic pizza. Choices include Margharita, Mozzarella, tomato sauce and basil ($10.95); Isabella , Buffalo Mozzarella, cherry tomatoes and arugula ($11.95); Pizza alla Paolo, Prosciutto di Parma and fresh arugula ($12.95); Pizza Siciliana, cozze, shrimp, calamari and tomato sauce ($13.95); Quattro Formaggi, Gorgonzola, mozzarella, Parmigiano and Bel Paese ($12.95); Pizza Vegetable, zucchini, tomatoes, mushrooms and asparagus ($11.95); Pizza Genovese, anchovies, mozzarella, tomato sauce and oregano ($12.95); and Pizza alla Mamma, Italian sausage, peppers and capricolo ($11.95). Side items include steamed broccoli, sausage, homemade meat balls, spinach sauté and French fries ($3-$4.95). Dessert options include a daily selection of homemade specialties, plus Gelato, Tiramisu and Cannoli which are available every day, ranging in price from $5 - $7.50. The expansive wine list includes several wines by the glass in addition to a collection of more than 80 wines by the bottle imported from across the globe. 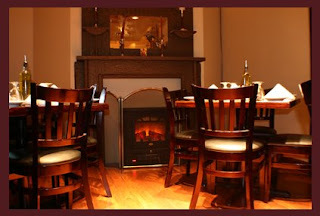 Trattoria Isabella has an 80-seat dining room with a fireplace, in addition to an expansive 30-seat bar and 100-seat outdoor patio with its own full bar. Private dining and special catering menus are also available for parties of up to 100 guests. Catch sporting events and other entertainment on one of the restaurant's four 52" flat-screen televisions. Trattoria Isabella's free parking makes it convenient for neighborhood residents as well as business diners, with free parking offered after 4 p.m. Monday through Friday, and all day Saturday and Sunday. Trattoria Isabella is located at 217 N. Jefferson St. in Chicago's Fulton River District. The restaurant is open for lunch and dinner Monday through Thursday, 11 a.m. to 10 p.m. and Friday until 11 p.m. Dinner is served Saturday 4 p.m. to 11 p.m., and Sunday 4 p.m. to 10 p.m. Trattoria Isabella offers free parking at Fulton and Jefferson after 4 p.m. weekdays and all day during the weekend. Reservations are recommended. For more information, visit www.trattoriaisabellachicago.com. In honor of Chicago's rich Italian American heritage, the Joint Civic Committee of Italian Americans (JCCIA) is hosting Fiera Italiana from 10 a.m. to 6 p.m., October 5 - 9 at Daley Plaza (50 W. Washington Ave.) This outdoor festival-style event brings food, drink, performing arts, entertainment, fashion and more in celebration of the culture of Italy. The festivities will be the kick off to the tradition that is Chicago's annual Columbus Day Parade on October 12. "The goal of Fiera Italiana is for the JCCIA to showcase the culture of Italy and the Italian American heritage to Chicagoans and visitors of Daley Plaza," says event producer Michelle Durpetti, managing partner of McGowan Durpetti & Associates. "As an Italian American myself, it is an honor to be a part of such a great event that everyone can enjoy." Fiera Italiana, an open-to-the-public event, is an opportunity for the JCCIA along with assistance from area businesses, to share its mission and celebrate Italian American heritage. Live entertainment is planned for each day of the festival during the busy lunch hour between noon and 1 p.m. In addition to top performers from the Chicago area, visitors enjoy shopping, wine tasting, culinary demonstrations, dining, fashion events, artistic showcases, musical recordings and strolling performers on the plaza. The Joint Civic Committee of Italian Americans is an independent non-profit association dedicated to preserving Italian American heritage and providing a unified voice for metropolitan Chicago's Italian American community. Founded in 1952, the JCCIA serves as a congress for more than 65 Italian American organizations, as well as a clearinghouse for information about the Chicago area Italian American community. Working alongside the JCCIA are its three divisions: the Women's Division, West Suburban Women's Division and Young Professionals Division. Join A Silver Lining Foundation for "Save the Girls" 11 a.m. until 11 p.m. tomorrow July 24, at Stocks & Blondes Bar and Grille (36 N. Wells St., Chicago; 312-372-3725). Each guest that donates $10 will receive a raffle ticket and a drink ticket. Prizes for the raffle include an ASLF t-shirt and a gift card to Stock & Blondes, Chicago White Sox tickets or Chicago Cubs tickets. Drink specials will be available all day and feature the signature Pink Booby shot for $4. Proceeds benefit A Silver Lining Foundation and its Buy a Mom a Mammogram program, which funds no cost breast cancer screening mammograms to uninsured and underinsured individuals. For more information, visit www.asilverliningfoundation.org. After reviewing numerous nominations, Michelle Durpetti of McGowan Durpetti & Associates, a Chicago-based event production firm, has been selected for Exhibit City News’ 40 under 40. To qualify, honorees needed at least 5 years of experience in trade show and association-related industries and show ingenuity, creativity and leadership in his or her career. Durpetti, 30, has always enjoyed event planning and hoped of owning her own event company one day. 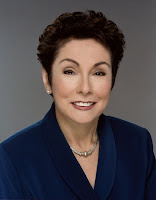 In March 2008, Durpetti launched McGowan Durpetti & Associates with business partner, Denise McGowan. With 10 years experience, she is a driven and dedicated woman to her company. Her attention to detail and witty personality are added benefits to working with Durpetti. The firm has produced events of all sizes, including Chicago Gateway Green’s Green Tie Ball in 2007 and 2008, and most recently the 4th Annual Texas Hold’Em charity tournament which raised a record $35,000. Last night, dogs hit the runway wearing designs from the hot new Chicago-based luxury collection, BARQUE. With music in the background and Chicago Sun-Times columnist Bill Zwecker emceeing the event, the dogs displayed 25 unique BARQUE designs. The red carpet entrance to Top Dog Productions (1551 N. Kingsbury St., 312-642-4931) was lined with people, including WGN’s Marcus Leshock, awaiting the reveal of the BARQUE models and BARQUE creator, Gay Roberts. Laughter and excitement filled the room as people watched the diva dogs strut their stuff for the crowd to see. Olga Honey Boo Boo, a miniature poodle, was a natural in her pastel striped sweater and kobi beige leather coat, while Bella, an English bull dog, shied away from all of the attention in her custom one-of-a-kind jacket. Muchacho was a crowd pleaser as he sported his Bad Doggy Denim. Zoe, a standard poodle, and three-pound teacup yorkie, Fergie, closed the show in their knockout, custom-designed runway outfits. While watching the dogs, guests enjoyed “Rin Tin Tini” cocktails, light hors d’oeurves, “human-friendly” dog biscuits and “dog pound cake”, made by Kim Stanek, dog lover and executive sous chef at The Westin Chicago North Shore. Gay Roberts, owner of BARQUE, began knitting sweaters for her dog, Fergie, and realized that dogs should never be seen in public without clothes. From there, Roberts, also a former New York Couture model and sportswear designer took her skills and combined her passion for fashion and dogs to create BARQUE. BARQUE designs range from size 4 to 14, and retail for $50 to $250 each. 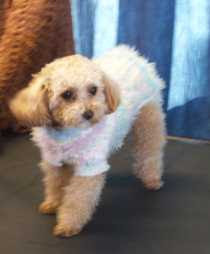 BARQUE designs are available online at http://www.barque.biz/ or retail at Pawsh Puppies (2120 N. Halsted St.; 773-525-8608). To see more pictures from the doggy runway show, click here. Up for a challenge? Take on Green City Market’s 3rd Annual Localvore Challenge September 9 through September 23. For two weeks, support Green City Market’s mission and eat only locally grown and locally produced food. Local food is defined as grown or made entirely with ingredients from Illinois, its border states, as well as Michigan. The challenge isn’t just for individuals-restaurants can participate too. Restaurants can either: offer a completely “local” menu item during the challenge; present a $1 donation to Green City Market per order of said menu item; donate a check during the challenge; or submit a recipe for inclusion in the Localvore Kit. A list of participating restaurants can be found at http://www.chicagogreencitymarket.org/. To learn more about the event, visit Green City Market to pick up a Localvore kit which also includes a list of participating restaurants, along with local products available, chef recipes, menus and more. In addition to the kit, the Localvore e-mail help desk and blog will be available during the two weeks to assist shoppers with trading recipes and sharing stories. For questions, please contact Lyle Allen, executive director of Green City Market at (773) 880-1266, or Mark Psilos, market manager & farm to chef forager of Green City Market at (773) 880-1266. For more information, visit http://www.chicagogreencitymarket.org/. Join special guest Dr. Sandy Goldberg of A Silver Lining Foundation at “Fashion Face Forward,” presented by Women of the World. The fashion show luncheon happens 11:30 a.m. to 1:30 p.m. Wednesday, July 22 at Union League Club (65 W. Jackson Blvd., Chicago) and features local Chicago designers and fashionistas Yana German, Lauren Lein and Kathryn McKechnie. Individual tickets are $40, or reserve a table for 10 for $400. Order tickets and seats at http://www.womenwotw.org/. The mission of Women of the World is to provide local and global opportunities to professional women through collaboration, education and networking. Through sharing collective thought leadership, resources and passion, Women of the World allows women to acquire the skills to forge strategic relationships across the world. A portion of proceeds will help A Silver Lining Foundation fund the Buy a Mom a Mammogram program, which provides no-cost mammograms to uninsured and underinsured patients. For more information, please visit http://www.asilverliningfoundation.org/. There's a little known hidden restaurant gem nestled on the grounds of the Glencoe Golf Club at 621 Westley Road 847-835-0250: Max’s on the Green. Last year, Catering by Max's, the well-established company owned by Larry and Randee Estes, who also own and operate Chicago's popular Max's Italian Beef, took over the concession and private dining operation, upping the food offering to include their famous Italian beef sandwich combos and a variety of more upscale fare. As of June 15, what used to be typical golf course food concession with hot dogs, burgers and beer is now a casual full-service restaurant that pleases golfers and non-golfers alike. Max’s on the Green, which seats 75 people, serves breakfast, lunch and dinner seven days a week. The historic, 75-year-old facility has been totally renovated. "Max's on the Green is a great spot for individuals, families and business or group dining. The screened in patio overlooking the golf course is a spectacular respite. In fact, the whole experience is relaxing: the restaurant is tucked away in a residential tree-lined neighborhood so it’s quiet and peaceful. We aren't difficult to find but if you didn't know that we were here, and that we are open to the public, we could easily be missed," said Estes. Chef Ed Baboorian, who brought his culinary talents to Max’s food operations more than 16 years ago, has created a menu that offers a family-friendly dining experience for all to enjoy. Start your day with a satisfying breakfast at Max’s on the Green. Specialties include French Toast dipped in vanilla royal and served with maple syrup ($4.75); Omelets with a choice of veggie, meat or cheese with toast ($6.50); Lox Platter, a fresh bagel, cream cheese, 3 ounces of sliced lox, red onion and cucumber slices ($7.50); and the Egg Platter, eggs any way, toast and choice of bacon or sausage ($6.50). Guests can enjoy a lunch salad or sandwich in the dining room or screened outdoor patio including Max’s Italian Beef Sandwich, Max’s famous thinly sliced roast beef in Italian gravy served with hot and sweet peppers on French bread ($6.59); Tuna Salad, simple and delicious made with tuna, hard boiled eggs, onions, celery and mayonnaise served on whole grain bread with lettuce and tomato ($5.75); or the Trail Mix Salad with Romaine lettuce, dried fruits, nuts, bleu cheese and raspberry vinaigrette ($6.50). New lunch selections include Light Pita Wraps like the Turkey, Apple, Cheddar, a warm, fresh pocket pita filled with sliced turkey, crisp apple and sharp cheddar cheese ($6.75); and Chicken Club, grilled chicken, crisp bacon, lettuce, tomato and ranch dressing rolled in a fresh pita ($6.75). Appetizer selections include Shrimp in red pepper sauce ($5.50); Crab Cakes ($7.50); Chicken & vegetable pot stickers ($4.95); or Flat Bread Pizza ($5.95). Max’s on the Green has delicious burgers like the Greg Norman Kobe Burger, the Greg “Shark” Norman’s 8-ounce beef burger grilled to perfection and served on a pretzel bun with lettuce and tomato, complimented with a choice of tobacco onion strings or crispy fries ($13.95). Add cheddar, American, bleu or Swiss cheese for an additional charge. Entrées include Salmon Filet, pan seared with Chef’s special spice rub ($15.95); Tilapia, dredged in corn flour and lightly fried to golden brown ($13.95); 8-ounce Skirt Steak, seasoned and grilled, finished with compound butter ($16.95); or Ravioli, delicate pasta squares filled with spinach served with marinara sauce, ($12.95), or filled with lobster and served with a brown butter sauce ($16.95). All entrées are served with a starch and vegetables that change daily based on market fresh availability and Chef Ed’s preference. Entrées can be served with a choice of garden or Caesar salad for an additional charge. Complete your meal with a treat for your sweet tooth. Indulge in a slice of Eli’s Cheese Cake ($3.50); Grandma Ruth’s Homemade Chocolate Chip Mondel Bread ($4.95); or Fresh Fruit ($3.50). The Glencoe Golf Club was established in 1921 by a group of Glencoe residents in search of an alternative to private country club membership. Since its inception as one of the first public golf courses, the Glencoe Golf Club has grown to become one of the finest public golf facilities on the North Shore and is now open and ready to take a tee time reservations. Book a tee time online eight days in advance via the reservation system, in person at the golf shop seven days in advance, or call the golf shop at (847) 835-0250 to make reservations six days in advance. For more information, please visit www.glencoegolfclub.com. Max’s on the Green is located 621 Westley Rd., Glencoe, Ill. and open for spring and summer, seven days a week for breakfast, lunch and dinner, 6 a.m. to 9 p.m. through October 31. Reservations are not required, but are recommended for large parties and can be made at (847) 835-0250. For more information, please visit www.cateringbymaxs.com. Pappadeaux Seafood Kitchen, serving fresh seafood flown in daily in two Chicago-area locations (921 Pasquinelli Dr., Westmont, 630-455-9846; 798 W. Algonquin Rd., Arlington Heights, 847-228-9551), offers a helping hand during these tough economic times with its Fight Hunger campaign. From July 13 through 26, purchase a dessert at either Chicago-area Pappadeaux location, and a portion of the proceeds will be donated to the Greater Chicago Food Depository. Pappadeaux, known for its fresh Gulf Coast seafood served in a fun and festive setting, also offers tempting treats for the sweet tooth, such as Bread Pudding, with bourbon sauce ($2.95); Sweet Potato Pecan Pie, with vanilla ice cream ($6.95); Banana Wafer Pudding ($6.75); Praline Cheesecake ($6.95); Vanilla Cheesecake, with fresh strawberries ($6.95); Key Lime Pie, in a graham cracker pecan crust ($6.95); Turtle Fudge Brownie, with pecans and vanilla ice cream ($6.95); Crème Brulée, with fresh fruit ($6.95); and Häagen-Dazs® Ice Cream ($2.95). For more information on the Greater Chicago Food Depository, call (773) 247-FOOD, or visit http://www.chicagosfoodbank.org/. For more information on Pappadeaux or to join Pappadeaux’s e-mail club, visit http://www.pappadeaux.com/. Over the holiday weekend, friends and family were sure to be impressed by Sweet Baby Ray’s grilling tips and secret recipes. 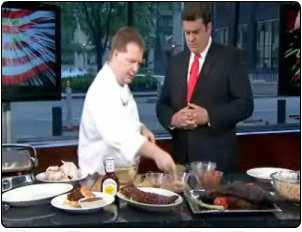 Sweet Baby Ray’s Paul Papadopoulos and Mike Nykaza were shown on WGN and CBS last Friday, demonstrating how to prepare Sweet Baby Ray’s Brisket, Kansas City Coleslaw, Kansas City Style Brisket Rub, and Smoked Barbecue Chicken. Sweet Baby Ray’s was not only a hit on television, but radio as well. Chef Duce Raymond shared grilling advice and ideas with Don Wade and Roma on WLS 890 AM. He provided an authentic sample for the hosts by grilling fresh food out on the sidewalk and bringing it up to the studio for a taste. Got Buzz couldn't help but notice these cool shirts when we stopped in at Berry Chill. We tried to read the messages on the shirts - then we realized a mirror would make the process a whole lot easier. The folks at Chicago-based Reflect My Life (http://www.reflectmylife.com/) have come out with a "gotta have" line of eye-catching men's and women's apparel, each one with an inspirational message - printed backwards, of course. There are several messages to choose from or they will create your own custom message. Check out their website for more info. Too bad we haven't found a mirror app for our iPhones yet. The July/August issue of BizBash magazine profiles Denise McGowan and Michelle Durpetti of McGowan Durpetti & Associates, a Chicago-based event production firm best known for producing Chicago Gateway Green's annual Green Tie Ball for the past two years. 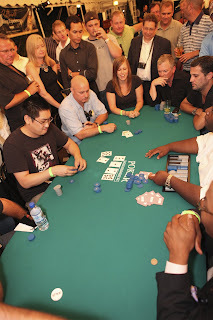 The MD&A team is currently working on Chicago Gateway Green's 4th Annual Texas Hold 'Em charity tournament Wednesday, July 15 at Galleria Marchetti, and is set to once again produce the 2009 Green Tie Ball event for the third consecutive year. To read the complete BizBash article, press here. For more information about the July 15 event, visit http://texasholdemtournamentchicago.blogspot.com.